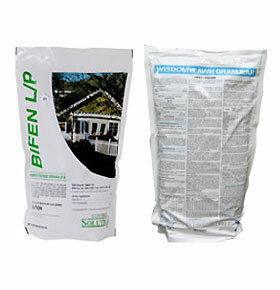 Bifen LP Granules are effective in controlling ants, fire ants, roaches, spiders, fleas, ticks, and crickets commonly found outdoors in such places as lawns, landscaped areas and gardens, and perimeters of any buildings, parks and recreational and athletic fields. A single application of Bifen LP can provide long term protection to up to 3 months making it cost effective and it's residue can stay up to 4 months in the soil! Rain helps Bifen Granulars/Wisdom Granular release chemicals. 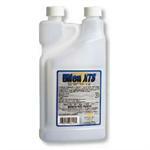 Bifen LP Granules are odorless. and certain other pest such as turf and other ornamental pest! It can be applied outside the house in a 5 to 10 band as a perimeter barrier. Bifen LP Granular can also be used in commercial and recreation centers. A normal application of Bifen LP Granular would be around 4 pounds. It can even be used in crawl spaces! PLUS, Bifen LP Granular is even safe towards non-targeted animals such as birds, reptiles and mammals!